North Sutton, NH  A custom accelerated Life Test Station from Labsphere, Inc., a world leader in light metrology products, has once again been chosen by a major North American manufacturer of LED solid state lighting products to help assure reliability and quality. After operating three Labsphere systems for the past five years in its LED product R&D and Quality Assurance departments, the company has purchased a fourth system for its China manufacturing facility. Reliability, efficiency, and high performance were top criteria in the LED company's selection of testing equipment. Labsphere's turnkey system design, coupled with the ability to trace radiometric, photometric and color measurement results calibration to National Institute of Standards and Technology (NIST), were an ideal fit for the company's stringent LED product accelerated life testing needs. The integrated system from Labsphere is contained in an ergonomically designed workstation that is able to perform a variety of optical and electrical test measurements on an array of up to 20 discrete LEDs, in under 60 seconds. 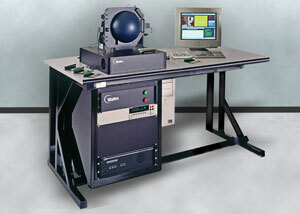 During a single measurement sequence, the Life Test Station simultaneously produces optical measurements of total spectral radiance and luminous flux, peak and dominant wavelength, full width/half max, CIE purity and CIE chromaticity, as well as forward current, leakage current and reverse voltage electrical measurements. Bar-coded carrier and burn-in boards facilitate tracking of LED performance over numerous cycles between the burn-in rack and the Life Test Station. Accelerated Life Test Stations enable companies to quickly and accurately test new products, increasing the reliability and energy performance of solid state lighting. Base systems can be customized to suit individual performance parameters. Labsphere's engineering staff is available to collaborate with customers to develop accelerated Life Test Stations to suit application needs. Part of the global Halma group of technology companies, Labsphere is a world leader world leader in light testing and measurement, and diffuse optical coatings. The company's products include LED, laser and traditional light source light measurement systems; uniform light sources for imaging device calibration; spectroscopy accessories; and high diffuse reflectance materials and coatings for applications in backlit panel displays, computed radiography, and system calibration. Their expertise has resulted in multiple patents in areas such as methods for testing LED dies on a wafer and UV transmittance.